Watertown Youth Coalition’s mission is to support the wellness and empowerment of Watertown youth by engaging young people, families, and community. WYC Steering Committee members work with the Coalition and Wayside staff to plan, participate, and publicize WYC activities and help with outreach to community. Laura oversees prevention, education and outreach programs. She has over 30 years of substance abuse prevention experience in a supervisory capacity and has been awarded multiple state and federal public health grants focused on prevention, youth development and health and wellness promotion. She is an experienced psychotherapist and holds a license in Marriage and Family Therapy and is a Certified Prevention Specialist. 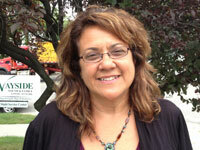 She enjoys helping youth and families enhance their health and happiness. In her spare time, Laura enjoys bike riding, kayaking, spending time with her family, and going to the beach. Stephanie has been Program Coordinator for the Watertown Youth Coalition at Wayside Multi-Service Center since October of 2000. Stephanie’s passion for working with youth started when she was an adolescent herself, teaching art classes at the local Boys & Girls Club. 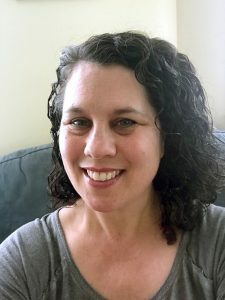 After receiving a degree in Psychology at University of Massachusetts, Stephanie has consistently focused on psycho-educational and prevention programming. She is pleased to work in the Watertown community where she collaborates with youth and other adults who are also focused on the health of youth in the community. 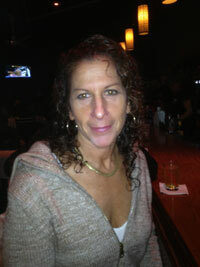 Stephanie’s favorite activities are pilates, running, reading and excursions with her children. Lisa is an experienced health educator. She is currently doing outreach in Watertown and Belmont (overseeing both the Watertown Youth Coalition and the Belmont Wellness Coalition) concerning issues related to substance misuse that impact youth and families in these communities. She is also a Youth Mental Health First Aid Instructor. This eight hour training teaches adults how to recognize and address mental health issues that youth are experiencing. When not working, Lisa enjoys photography, reading, walking, and spending time with her family. If you are an adult who would like to get involved, or if you have general questions or comments for the WYC, please contact Lisa at 617-926-3600 x2649 or lisa_gibalerio@waysideyouth.org. If you or someone you know is interested in becoming a WYC Peer Leader, please contact Shanesha at shanesha_christmas@waysideyouth.org.